Price includes: •	Matching Bench •	Comprehensive pre-delivery service •	Five year warranty •	Free Delivery within the GTA •	One year “Trade-Up” at full value •	One free in-home tuning. 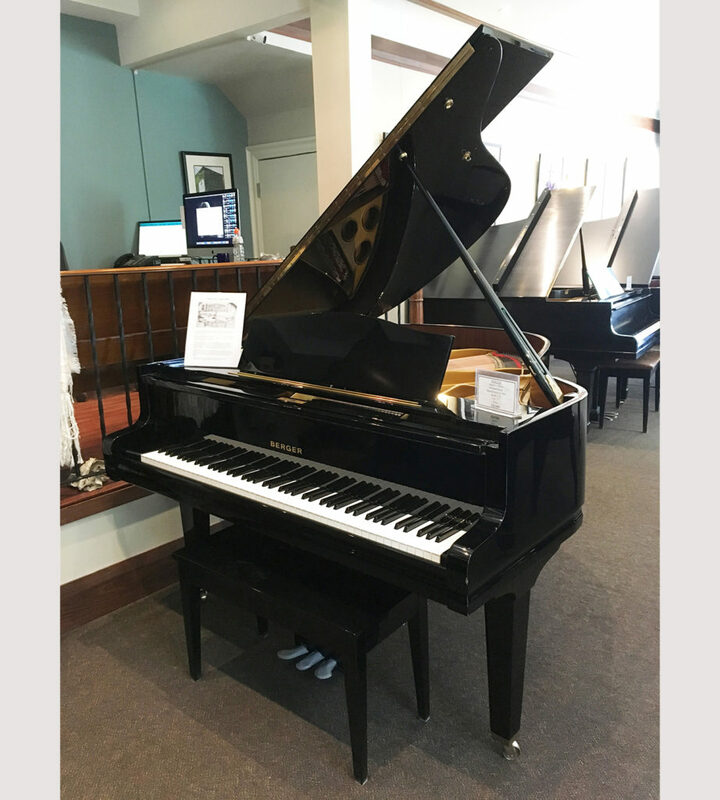 This fine hand-made grand piano is considered to be among the best of all the pianos ever manufactured in the German Democratic Republic – manufactured in the same year as the fall of the Berlin Wall. Friedrich August Förster built his first piano in 1859 in Löbau. In 1862 he established his first factory outside the city. After the death of August Förster in 1897, his son Cäsar took over. He also set up a factory in Georgswalde – Bohemia – Czech Republic, to serve the important sales market of Austria-Hungary. However, the Förster factory in Bohemia was expropriated by the Czech government in 1945, and production was continued by the Czech piano factory, Petrof. The quality of the materials decreased, as well as the motivation of the employees. The pianos built in the Czech Petrof factory under the name August Förster are therefore of lesser quality than the East German Förster and Berger instruments produced in Löbau. Since the Czech and East German Förster factories were now competing with each other, there was a battle over the name “Förster”. This name could only be used in the Benelux by the Czech factory, although the Czech Förster was called “Weinbach” in the rest of the world. In the Netherlands the better East German Förster was sold under the name “Berger”. A Berger piano from Germany is considered to be of the same quality as any contemporary top-level instrument: Blüthner, Bechstein, Ibach, etc.